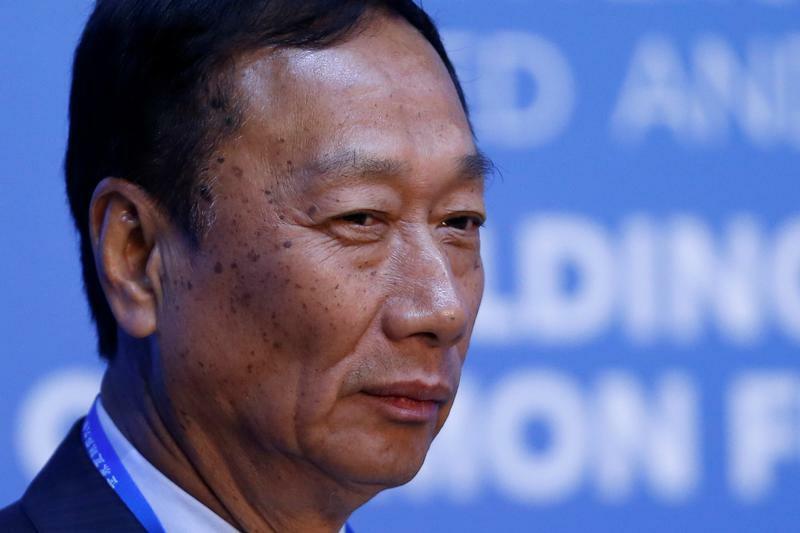 Terry Gou, founder and chairman of Taiwan's Foxconn Technology, attends a session of the second annual World Internet Conference in Wuzhen town of Jinxing, Zhejiang province, China, December 16, 2015. Terry Gou, chairman of Taiwanese contract manufacturer Foxconn, said on April 15 that he planned to step down in the coming months to hand over to “young people”. Speaking on the sidelines of an event in Taipei, Gou said the decision needed to be discussed with the board of Foxconn, the assembler of Apple’s iPhones, which is formally known as Hon Hai Precision. Gou said he would remain involved “in the major direction of the company”. Foxconn shares rose after the news, climbing 3.2 percent to NT$89.3.